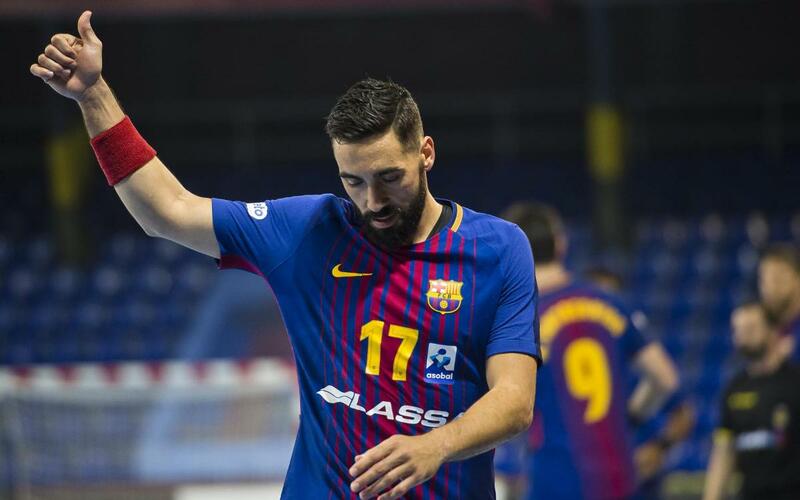 FC Barcelona rolled to a 33-17 over visiting Guadalajara on Saturday at the Palau Blaugrana in Liga ASOBAL Week 28 action. Valero Rivera led the way with eight goals as Barça dominated the game from start to finish. Barça opened the game with a 5-1 run, and led 15-10 at the half. Despite the lead, Barça came out in the second half with even more firepower, taking a 10-goal lead not long after the intermission. Lasse Andersson, who made his first appearance after 13 months of injury, got a standing ovation along with a special video tribute. The Dane’s five goals in the game were second on the team after Rivera. Barça goalkeeper Gonzalo Pérez de Vargas was stellar in net and even scored a goal. Barça’s next game is a Copa del Rey quarterfinal matchup with Valladolid.